Registration will go through the various locations we are collaborating with and are open to the community, unless otherwise noted. To Register: Select the link under "Parent Link to Registration" column. Camps are sorted by Week, Area, then Location. If the camp you want is sold out, try searching for the same camp on a different week or different location. Use the search tool (computer only; does not work on your phone) to find specific camps (example: Roblox, Minecraft). Already signed up for Day Camp? Bring us to your camp! If you already signed up for a Day Camp and want us to visit your child's camp as an On-Site Field trip, let us know! If you do not see a location close to you, now is the time to contact us or your school administrators/Principal, Directors of Summer Camps and parks and recreation facilities if you are interested in having Engineering For Kids at your local school or center. They may fill out this REQUEST FORM, by clicking here to get the process started. 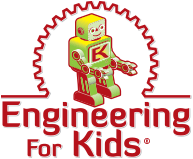 Copyright © 2019 Engineering For Kids. All rights reserved.